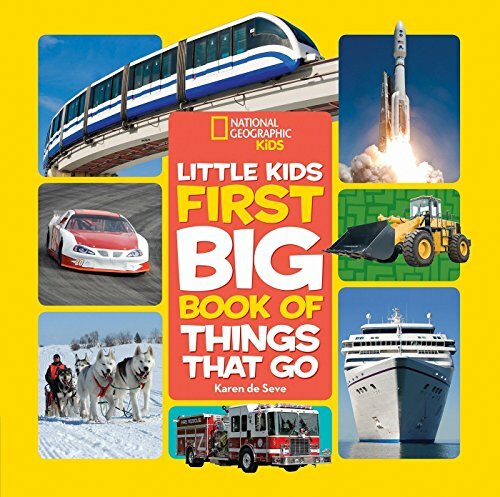 National Geographic Little Kids First Big Book of Things That Go (National Geographic Little Kids First Big Books) est le grand livre que vous voulez. Ce beau livre est créé par Karen de Seve. En fait, le livre a 128 pages. The National Geographic Little Kids First Big Book of Things That Go (National Geographic Little Kids First Big Books) est libéré par la fabrication de National Geographic Children's Books. Vous pouvez consulter en ligne avec National Geographic Little Kids First Big Book of Things That Go (National Geographic Little Kids First Big Books) étape facile. Toutefois, si vous désirez garder pour ordinateur portable, vous pouvez National Geographic Little Kids First Big Book of Things That Go (National Geographic Little Kids First Big Books) sauver maintenant.